Unpaid. 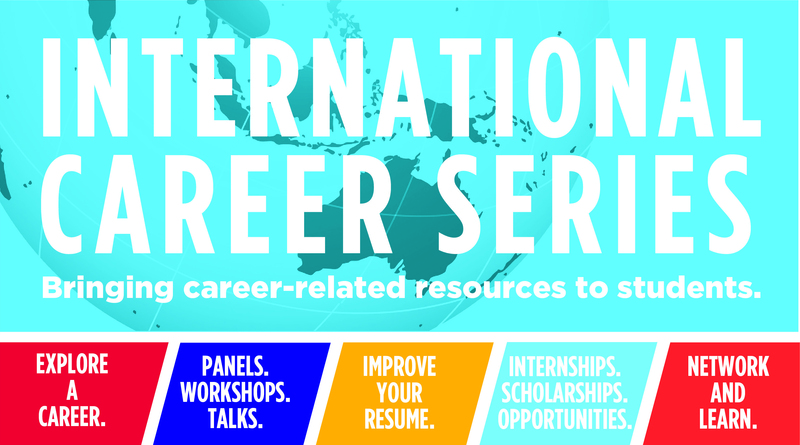 Earn academic credit at KU by enrolling in GIST 495: Global Internship. Humanity in Action is an international educational organization that educates, inspires and connects a global network of students, young professionals and established leaders committed to promoting human rights, diversity and active citizenship—in their own communities and around the world. The Humanity in Action Fellowship brings together international groups of Fellows to study minority rights and produce original research exploring how and why individuals and societies, past and present, have resisted intolerance and protected democratic values. Separate programs take place for five weeks every summer in Amsterdam, Atlanta, Berlin, Copenhagen, Sarajevo, and Warsaw. This internship is completed remotely--participants can work from KU while continuing to take classes. VSFS interns (eInterns) are paired with a domestic Department of State office, diplomatic post or other government agency (ex: NSF, NIH, USAID). Interns are given a project to complete during the academic year. Students are sought from every major and background because projects are extremely varied. Some have language requirements. VSFS interns are unpaid and volunteer 10 hours a week from September to May. Requirements: US citizens who are enrolled in at least one college level course. This course can be taken on campus, online, in the US or abroad. Apply: July (for academic year) Application is only open for 3 weeks! This is an innovative, national campaign that works with US leaders to improve their response to the global poverty crisis. Interns telecommute from home to write 2 articles per week (these will appear in BORGEN Magazine or The Borgen Project Blog). In addition, interns may be asked to research topics and assist with advocacy and fundraising efforts. Requirements: Strong research and writing skills, be able to work independently and meet deadlines with very little supervision. Experience writing SEO friendly content is helpful, but not required. The hiring process is very competitive; they look for a diverse range of backgrounds and focuses on finding great individuals, with a strong work ethic and passion for righting wrongs. This is a 12-week, part-time internship. This program provides students the chance to work in Washington DC and in US Embassies and Consulates overseas. Through this program, students gain insight into US foreign policy and diplomatic facilities around the globe. Internship responsibilities vary according to placement. Tasks can include writing reports on human rights issues, researching environmental and economic issues, helping to coordinate international conferences or visits by high-level officials, creating/updating web pages, assisting US citizens with services abroad, and supporting educational/cultural exchange activities. There are 3 programs—Spring (January-April), Summer (May-August), and Fall (September-December). Each internship lasts 10 weeks. Interns work full-time, 40 hours a week. Requirements: US citizenship, at least a 2.5 GPA, completed at least 60 credit hours (college junior, senior or graduate student). Be enrolled in school the semester prior to and immediately following your internship. You must receive security clearance. Housing: Students selected for domestic placement are responsible for finding and paying for their own housing. A listing of housing possibilities in Washington, DC will be mailed with the selection package. Abroad, every effort is made to provide housing at no cost to interns, but circumstances vary from post to post, so this cannot be guaranteed. Travel: For domestic and overseas placements, travel expenses and arrangements are the responsibility of the participant.